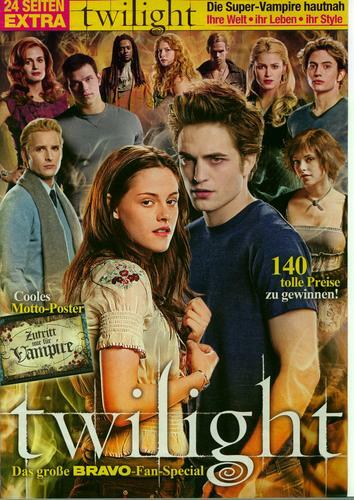 german magazine scan. german magazine scan. HD Wallpaper and background images in the টুইলাইট সিরিজ club tagged: twilight movie kristen stewart edward cullen bella swan robert pattinson. This টুইলাইট সিরিজ photo contains সাইন, পোস্টার, টেক্সট, and চকবোর্ড. There might also be নকল মানুষের, কমিক বই, কমিকস, কার্টুন, প্রতিকৃতি, ধনু, and চতুর.